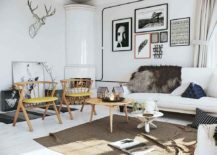 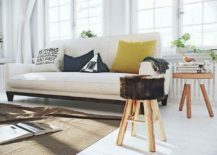 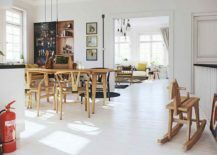 It is barely a surprise that Scandinavian style and design are constantly topping the trends chart across the globe, regardless of everything else around them being in a constant state of flux. 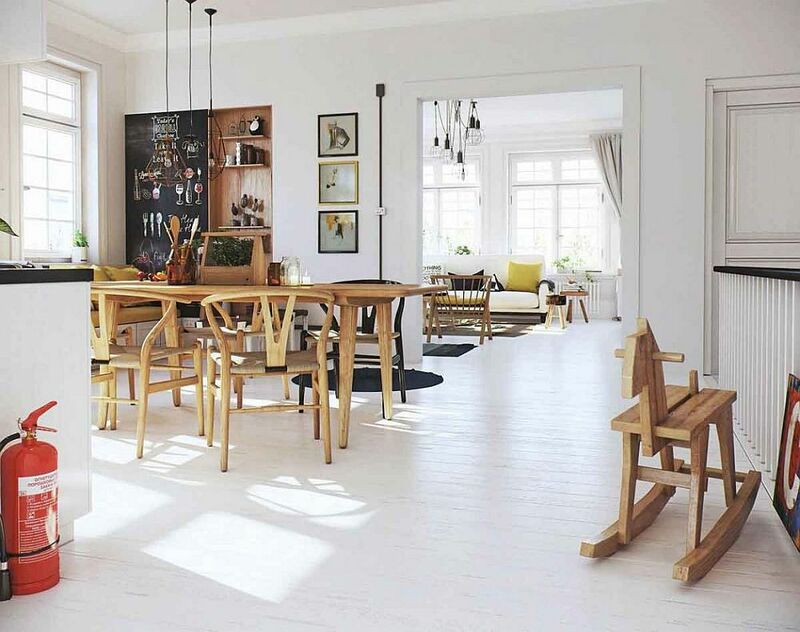 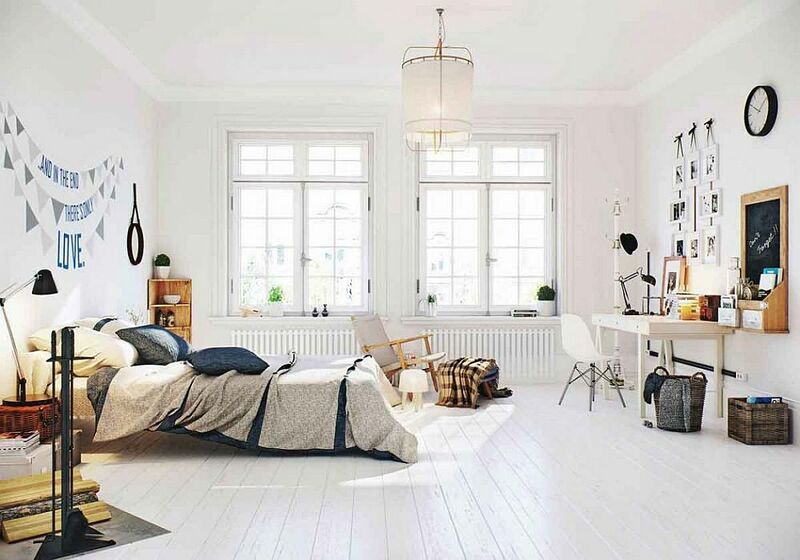 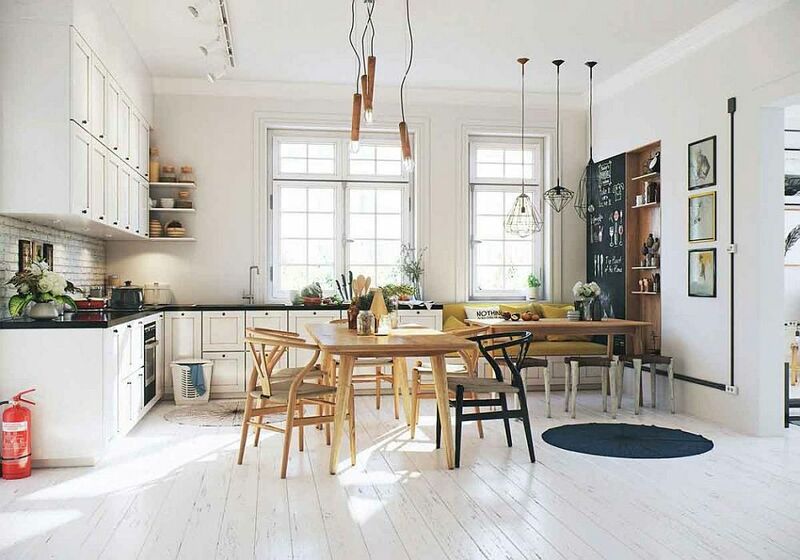 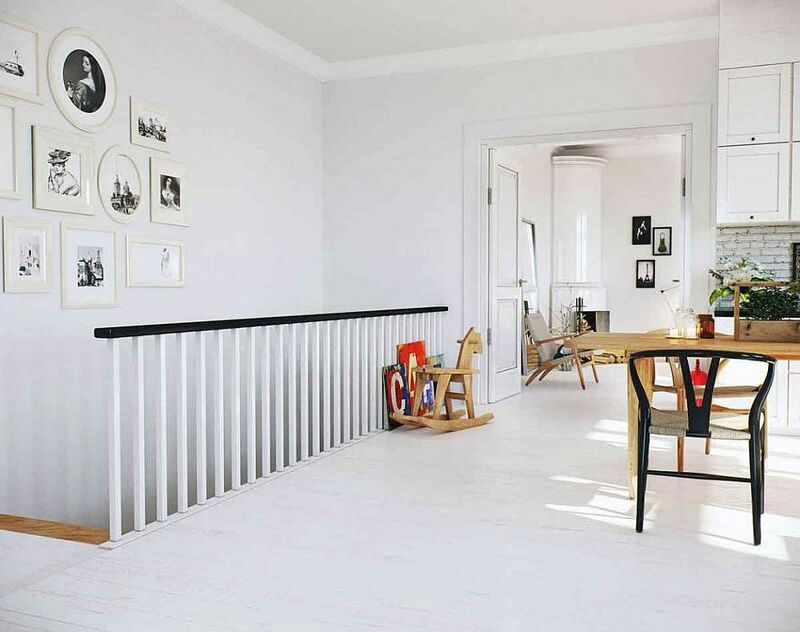 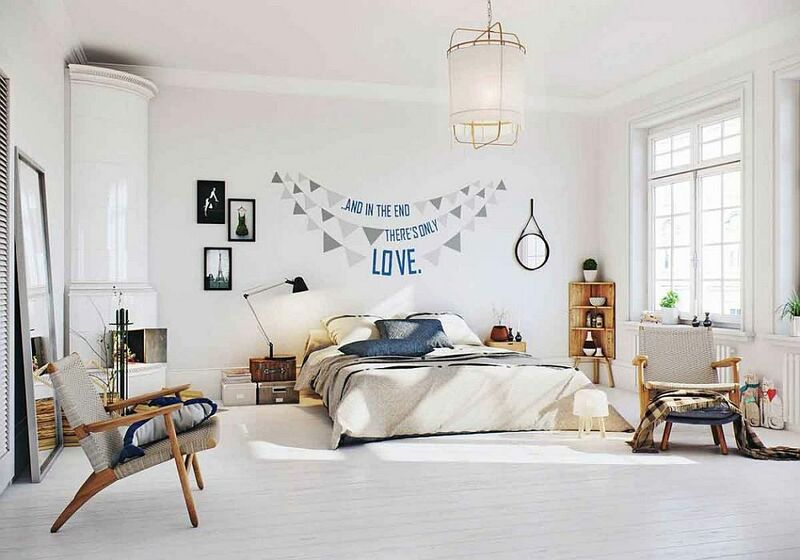 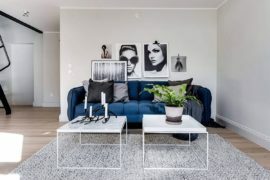 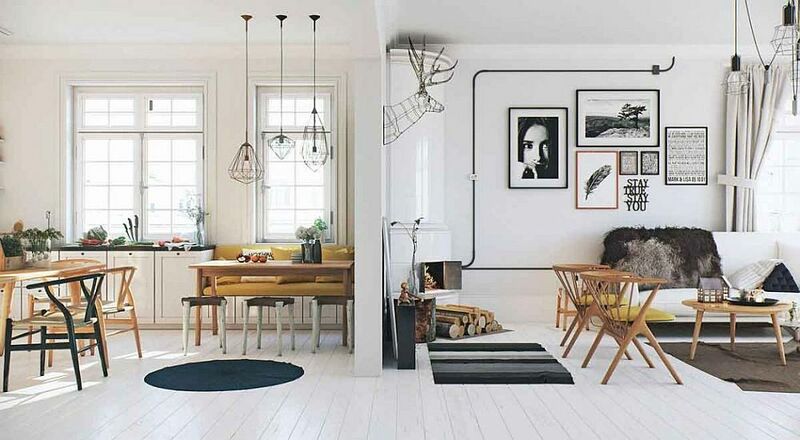 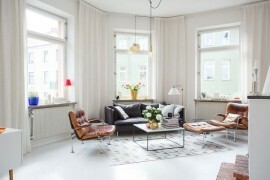 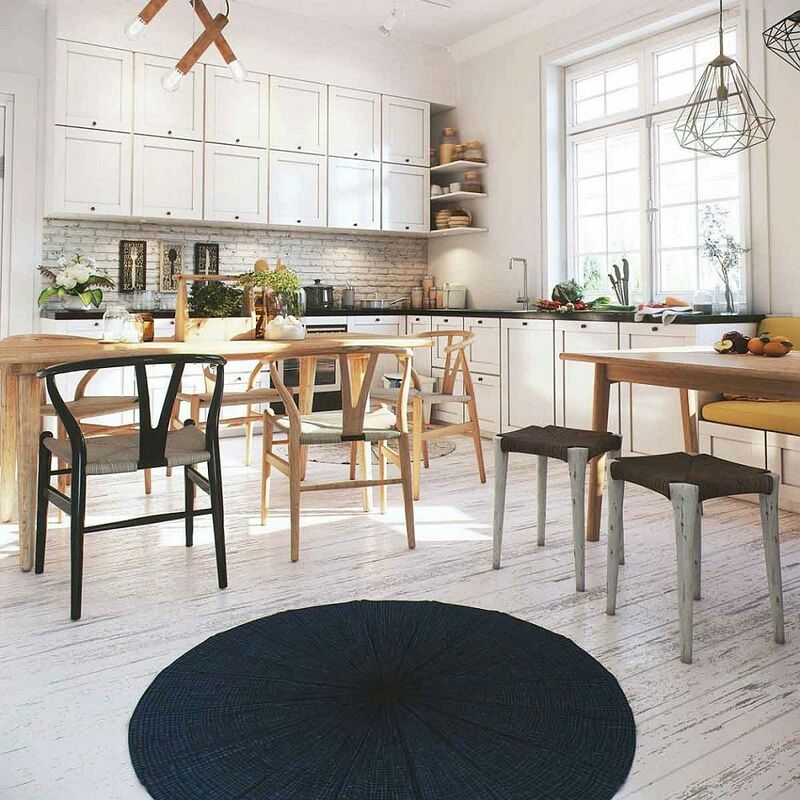 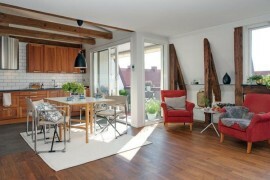 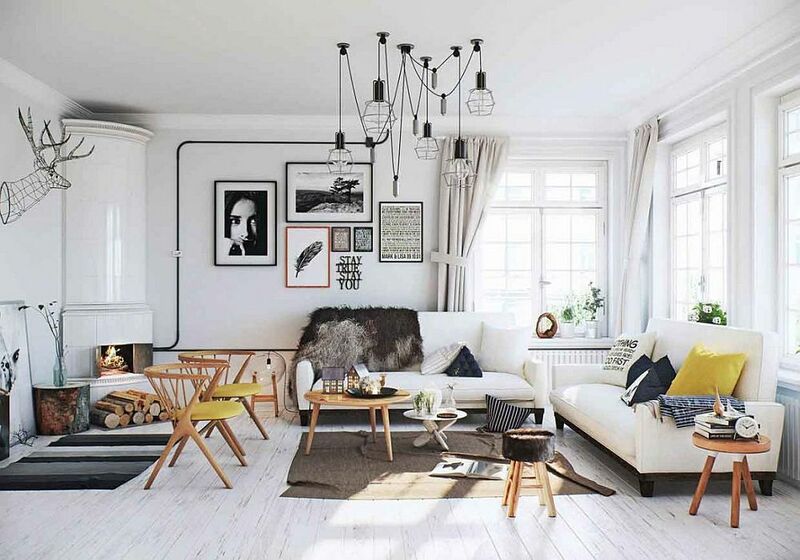 It is the inherent simplicity and practicality of Scandinavian design that makes it so very special, and with modern homeowners longing for a blend of minimal aesthetics and relaxing ambiance, the style seems even more appropriate for contemporary homes. 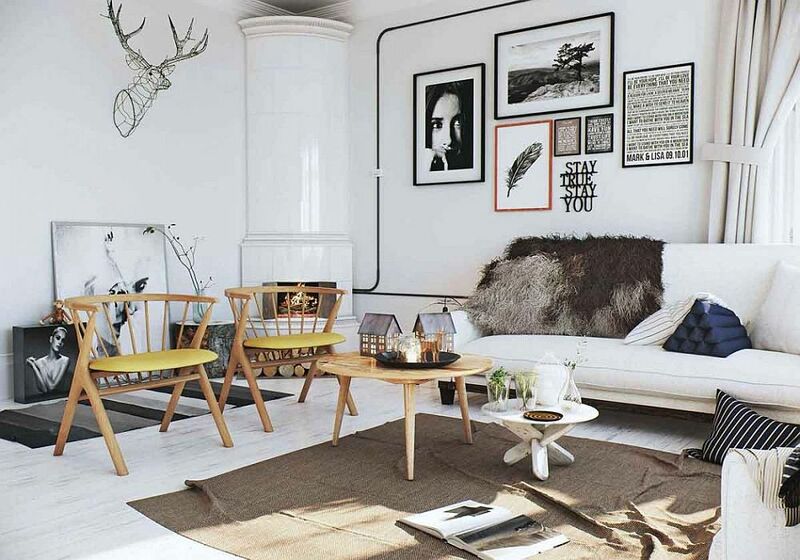 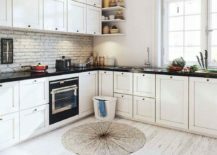 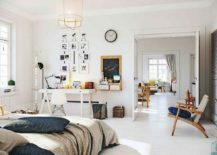 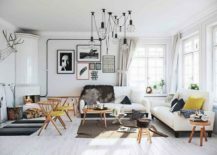 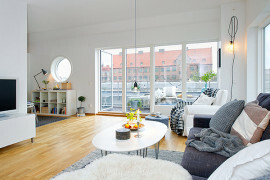 Conceptualized by IMAGE BOX STUDIOS, the Norwegian apartment encapsulates everything elegant, timeless and exquisite about Scandinavian design at its cheerful best! 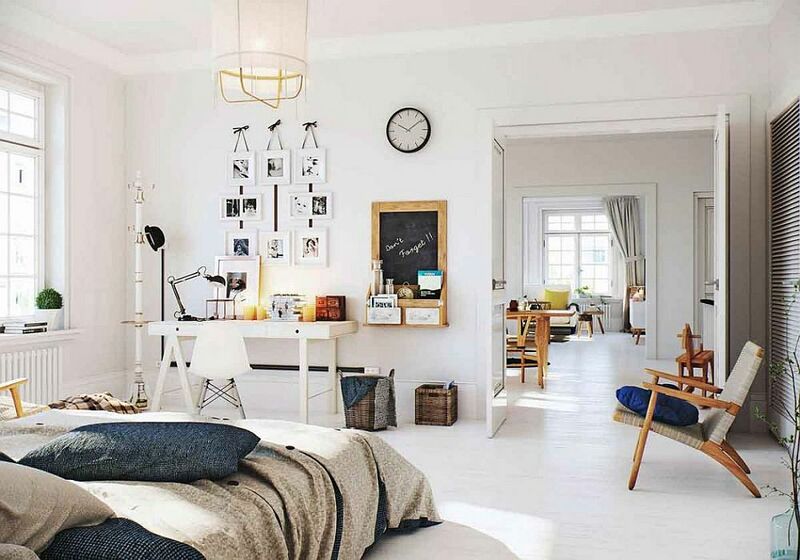 White is color of choice here, with the design making space for large windows that usher in abundant natural light. 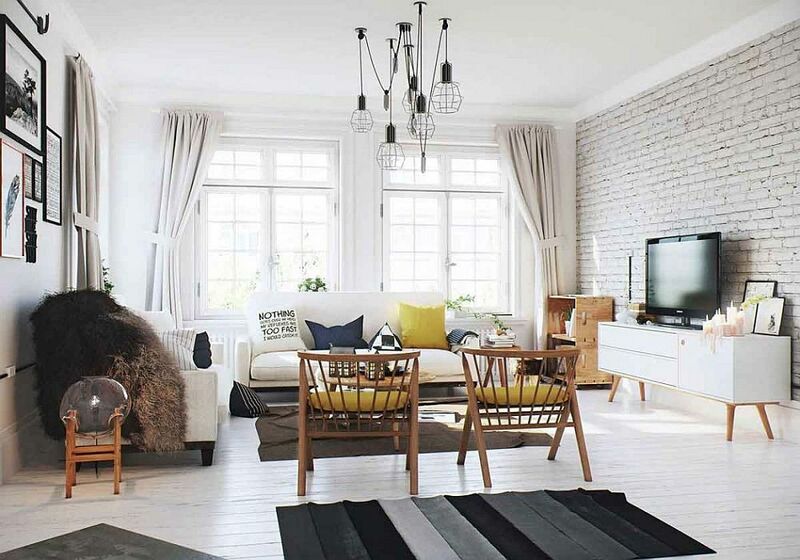 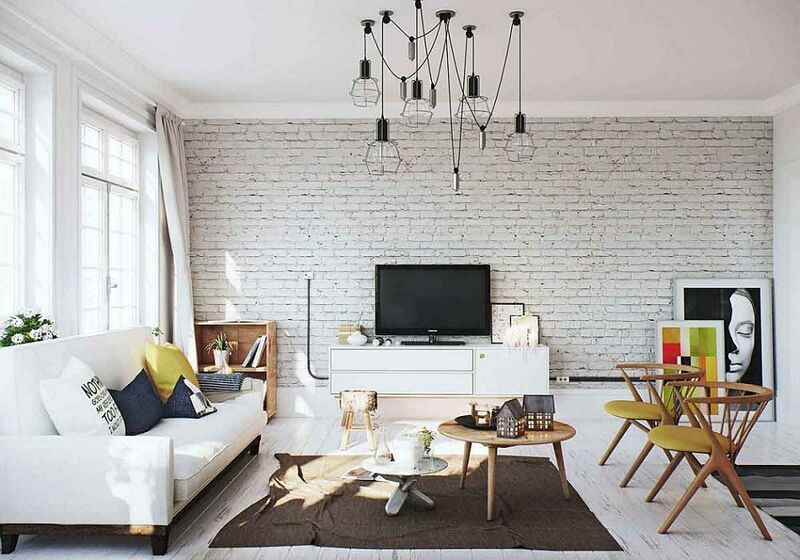 The living space also brings along with it ample textural contrast without ever breaking the color scheme, thanks to the whitewashed brick wall, décor in wood and natural timber, and of course, the polished white backdrop. 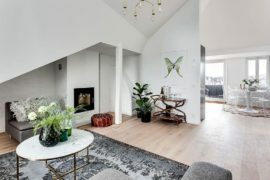 Furniture also embraces a Nordic aesthetic, and functionality precedes form, even as the lovely corner fireplace provides a cozy focal point for a generous conversation and reading nook. 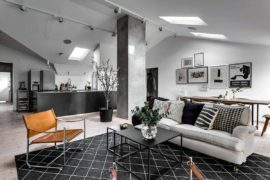 The dining room next to the living area becomes one with the L-shaped kitchen that uses black countertops to offer visual contrast. 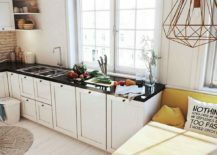 Open corner shelves and a series of cabinets afford plenty of storage space in a kitchen that does not use the clichéd formula of a large island at its heart. 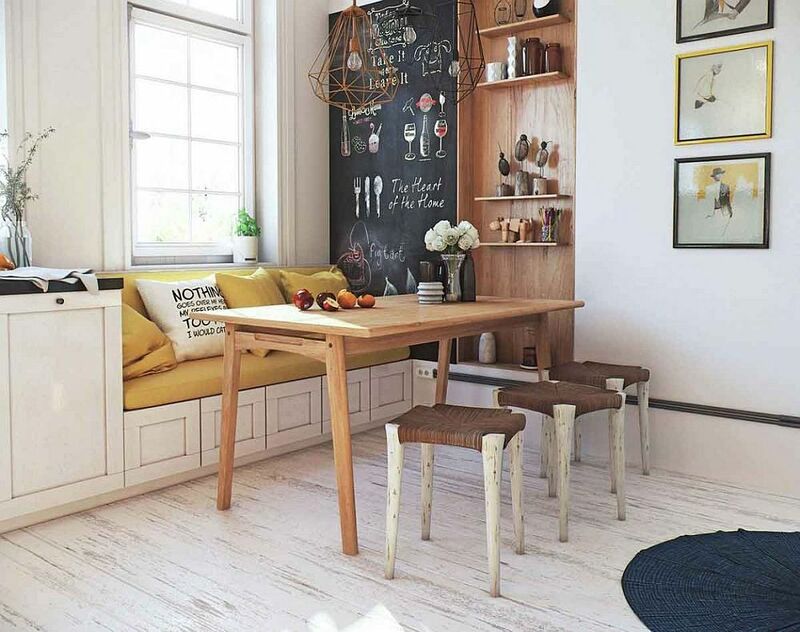 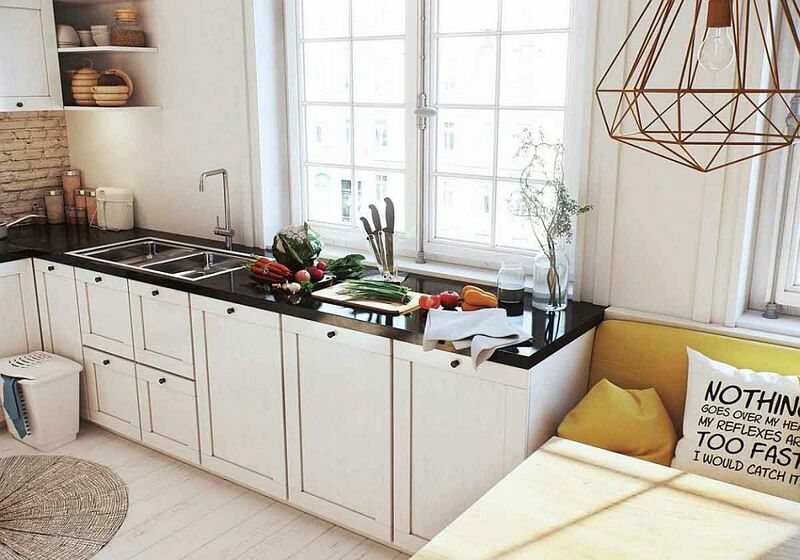 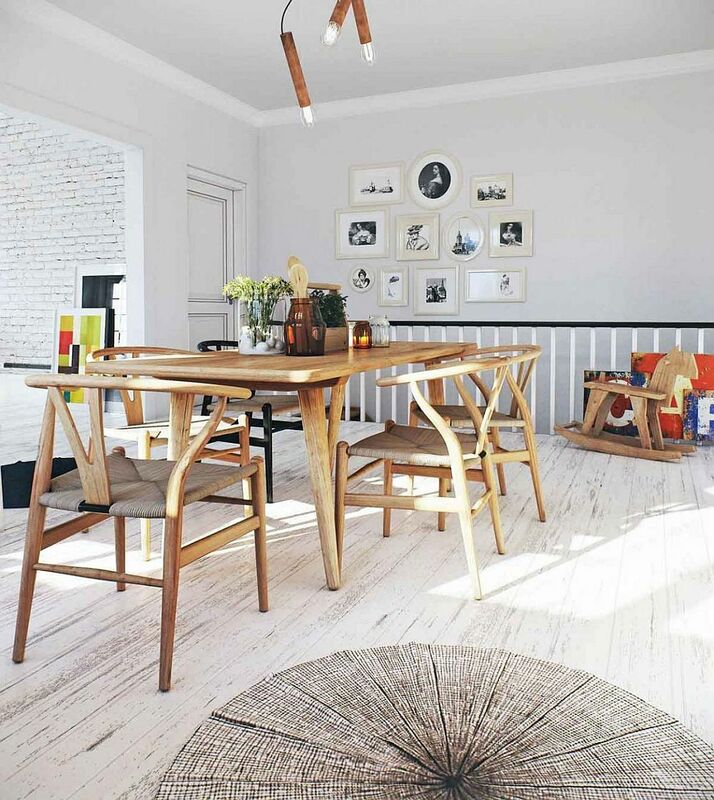 A cozy corner banquette that doubles as a cool relaxation zone completes this space in style. 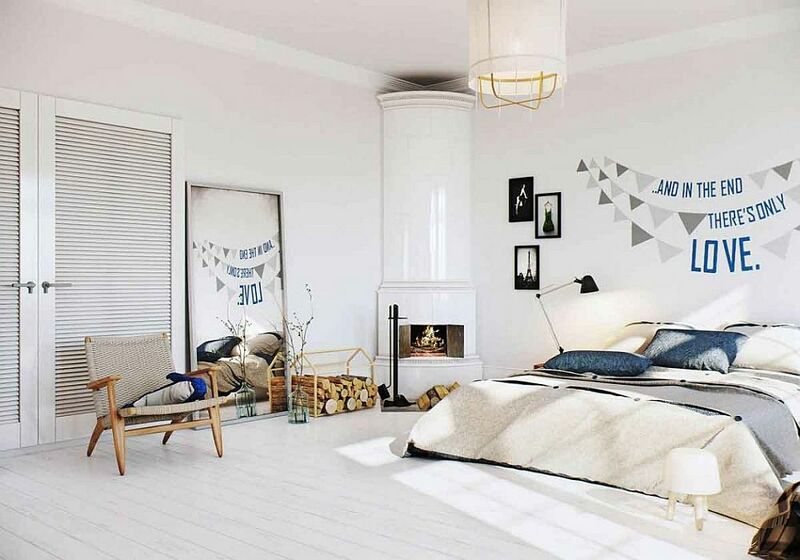 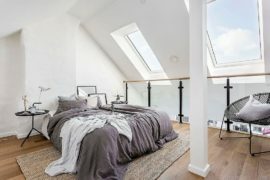 Following the footsteps of the living area, the bedroom is also clad in white, with a clean-lined workstation and a corner fireplace giving it a unique aura. 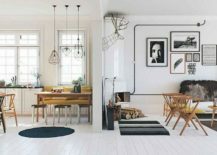 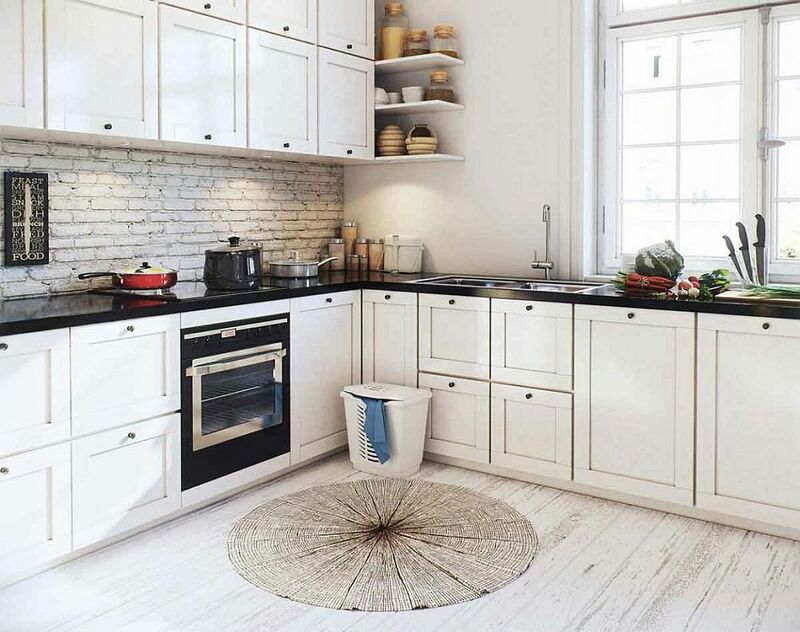 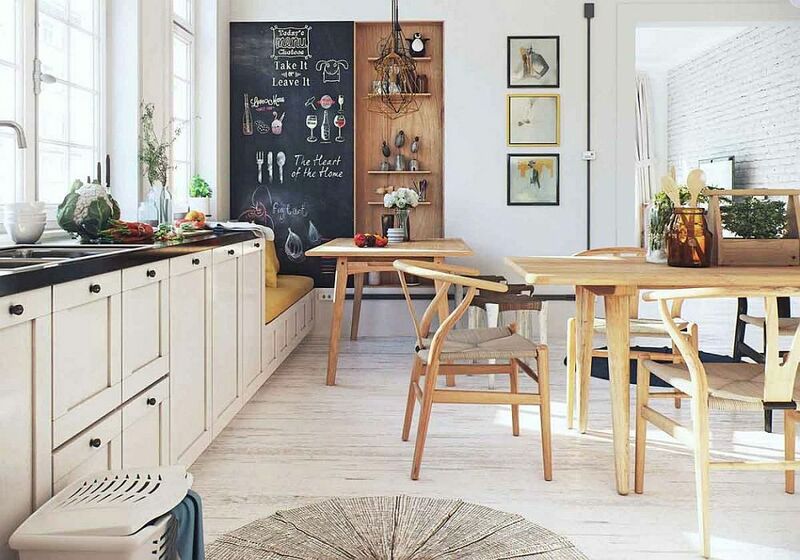 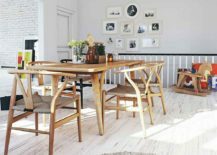 Simple and yet refined, there is plenty of inspiration on offer here for anyone who wishes to go down the Scandinavian path.